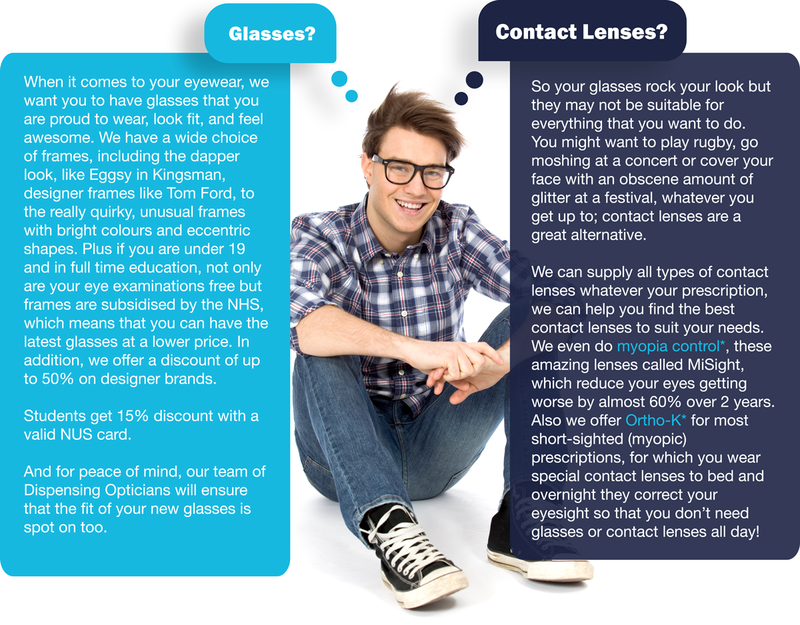 Contact lenses or glasses – what are you going to choose? You can always mix it up a bit for different looks on different days! Please ask instore or click the links for more details.